Cricket offers super-cheap wireless prices, but it comes at the cost of data speed. What’s the best Cricket wireless phone plan for you? Learn about your unlimited data options in our Cricket review. Prepare for a . . . limited unlimited. Cricket mobile does indeed offer unlimited wireless plans—they’re just not as unlimited as they sound. Yes, you do have unlimited data, so you can pull up Facebook or Twitter while you’re waiting for the bus without stressing about data, but don’t expect lightning-fast speeds. Thankfully, there are no catches with unlimited calls or unlimited texting. Variety isn’t Cricket’s strongest suit. The only real difference between Cricket wireless plans is whether or not you want to set up autopay. Here’s a bit of pro advice: you should do autopay and save a couple of bucks every month. Do that, and you’ve got yourself a super cheap wireless bill. The biggest catch with Cricket wireless plans is how your download speeds cap at 3 Mbps and streaming speeds cap at 1.5 Mbps. Translation: you’ll have a slower connection than you would with another mobile company. Of course, we’re talking a few extra seconds when you’re googling something. If you’re pretty patient with your internet and streaming speeds, you can get an affordable unlimited plan. Is there a Cricket wireless hotspot option? You can get a hotspot connection, but it’ll cost you an extra $10 a month. You’ll get decent speeds for the first 8 GB, but after that, things will slow to an absolute crawl at 128 Kbps. Yikes. Don’t you love it when you organize search results by price and find there’s a super-affordable option? That’s where Cricket wireless comes in. 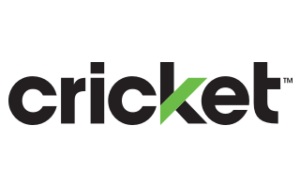 Cricket even beats out Sprint, which also prides itself on offering cheap data plans. Before you get too excited, keep in mind that Cricket’s wireless data speeds are pretty slow. This isn’t, like, a “Tortoise and the Hare” situation either. Cricket is the tortoise, everyone else is the hare, and in this case, the tortoise loses terribly. But if you can live with the slower internet speeds and so-so streaming quality, you do get an awfully cheap wireless plan with a decent network. If you opt for a Cricket unlimited plan, just know the magic number is 22 GB. After you use 22 GB in a month, Cricket may slow your data speeds down even more than before (also known as “throttling”). Look for your nearest source of Wi-Fi as soon as possible, friend. So, why would you go with a more expensive Cricket plan? The main difference is speed. With the Unlimited Extra plan, you get 4G LTE speeds—instead of getting capped at download speeds of 3 Mbps (real slow). Do some soul-searching and think about how much you value quick internet speeds. Sure, you can save a pretty penny by opting for the slower speed, but you might be giving up some of your sanity in the process. Seconds at a time. While waiting for your Instagram stories to load. Now let’s compare Cricket’s family plans with the other major carriers out there. Cricket’s family plans aren’t a steal like the individual unlimited plans are. Compared to the competition, the family plans aren’t significantly cheaper—which is disappointing. Metro by T-Mobile and Cricket Wireless are essentially the Spider-man pointing meme when it comes to family plans. Both offer similar prices and neither offers lightning-fast speeds. The advantage with Cricket is that you might save some up-front costs compared to Metro. As for speed, it’s the same old story with Cricket. The Cricket family plans may be cheap-ish, but the internet speeds are nothing to write home about. Think of ‘em like cell phone plans for minimalists. Let’s hop in our time machine and go back to 2006 where the Cricket prepaid plan belongs. No, your eyes aren’t playing tricks on you. Those three words” No Data Included” aren’t kidding. This Cricket prepaid plan doesn’t come with a single scrap of data, but on the bright side, you can text and call to your heart’s desire. Jokes aside, it’s actually pretty cool that you can still get a super-cheap deal for a smartphone without a data plan. This plan could be perfect for parents who want their child to have a phone so they can call when soccer practice is over, but who don’t want their kids messing around with Instagram just yet. The Cricket prepaid plan works with basic phones, if that’s your style, but it also supports the latest iPhone devices. Hooray! Good news: you can get most new phones on Cricket. Cricket is compatible with most of the flagship phones out there. Or maybe you like Cricket phones less traveled—and if so, you can get Nokia, Motorola, and Alcatel phones as well. If you’re a Google Pixel fan, though, you won’t be able to buy one directly through Cricket. But you can buy an unlocked Google Pixel and set up your network that way. Here are all the heavy-hitter phones Cricket has available. How good is Cricket performance? Thanks to AT&T coverage, it’s pretty good. Internet speed will never be Cricket’s claim to fame, but its overall service coverage is surprisingly good1 for being a budget wireless option. Cricket uses AT&T’s network, which means it offers the same coverage that you’d get with a more expensive carrier. Just . . . don’t expect too much. There is a treasure trove of awful experiences2 with Cricket customer service agents. So we decided to find out for ourselves. We had a simple question—can we use an unlocked Google Pixel phone with our Cricket account? We were only on hold for a few minutes, but when we got through, we didn’t get much help. Now, our agent might’ve just been having a bad day, but in our experience, Cricket customer service is consistent with the poor reviews. Does Cricket have overage charges or hidden fees? Would it be a wireless provider if it didn’t have a few hidden fees? Sadly, there are some additional Cricket fees to consider. The fees are nothing egregious, but they are annoying. Who wants to pay a $25 activation fee? No one, that’s who. Cricket wireless offers low prices, decent coverage, but the trade-off comes with internet speed. Cheap wireless + solid coverage – bad internet = Cricket wireless. For some people (like Instagram models), Cricket is probably not the hashtag best choice, but for folks who want a phone more than a smartphone, it makes a lot of sense. Plans: Cricket offers straight-up plans that are competitive with other providers. Whether you want an unlimited plan or a family plan, there’s a good chance Cricket will be your cheapest option. Coverage: Cricket uses AT&T’s network, so you can expect reasonable coverage if you live and work in a city. Out in the country, though, you’re out of luck. Speed: With a download speed of 3 Mbps and streaming speeds of 1.5 Mbps, Cricket is no Speed Racer. Customer service: Cricket doesn’t have the best customer service, but for simple questions, they’ll get the job done. Overall: Cricket is precisely as advertised. It’s cheap, it works, and it doesn’t offer blazing internet speeds. It’s a perfect phone for those who primarily want to talk and text, with minor app usage. Q: I already own a phone. Can I still sign up for Cricket? If you have an unlocked GSM phone, you can switch over to Cricket. You can get help in a Cricket store or by calling its customer support. Q: Can you make international calls with Cricket? Cricket has two international plans—Cricket International for $5 a month and Cricket International Extra for $15 a month. The main difference is that you can record video messages with the International Extra plan. Both plans come with international texting. Without an international plan, you can still make calls to Mexico and Canada, but you cannot make calls beyond North American countries. Q: Can I keep my phone number if I switch to Cricket? You’ll get a new SIM card with your old phone number. This will make your life much easier. Q: Can I transfer my contacts to my new phone? Yes. First things first, you’ll need to save your contacts using a cloud storage service like Google Contacts or iCloud on your current device. Once you do that, you can use that same service to transfer contacts to your new phone. If you’re switching from an old-school flip phone to a smartphone, check out the user manual from your old phone. It should have instructions on transferring contacts to a new phone. Tyler has been obsessed with watching sports as efficiently as possible since the creation of the DVR. He is always on the lookout for the best tech in TV and wireless so he can watch all the sports and still have enough time to hang out with his baby. 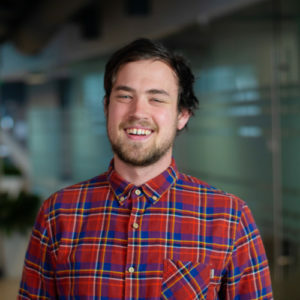 He has written about streaming, wireless, and TV for over three years. He hopes the Lakers will eventually get better.